A: To provide evidence for changing international spatial hierarchy with the integration of East and Southeast Asia in solar energy trade networks. A: The study helps to locate major markets for the solar energy industry. A: Most studies of solar energy have focused on national policies and the impact of these policies on energy security. The study supports this work that national policies may have influenced inter-country trade patterns. 2. 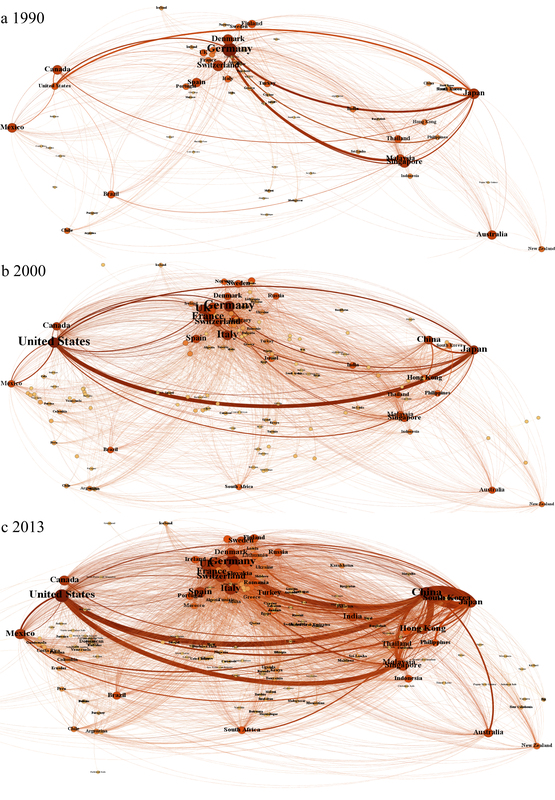 Spatial mobility among countries has not led to a decline in network inequality. A: The paper contributes to the core-periphery debate which is dominated by two schools of thought. The first sees structural constraints as formidable with patterns of trade being spatially fixed. The other sees considerable spatial mobility in the semiperiphery because of their participation in new industries like solar energy. The paper shows that while a few countries in Asia experienced spatial mobility on the core-periphery hierarchy, others also remain un-integrated. A: Spatial patterns and processes are central in understanding how the world economy works. This paper’s focus sheds light on the spatial dimensions of the innovative cycle of solar energy.